NATO has suggested Russia has tried to meddle and influence whether Balkan countries join the defence alliance. Jens Stoltenberg, its secretary general, made the comments in an exclusive interview with Euronews in Brussels. He was speaking on the day the newly-named Republic of North Macedonia signed a pact that will pave the way for the country to join NATO. "Russia tries to meddle, Russia tries to interfere in [the] political processes in sovereign nations," Stoltenberg told Euronews. "And I think that's wrong. "NATO respects, we respected decisions by independent sovereign nations regardless [of whether] they wanted to join NATO or [whether] they don't want to join NATO. "In Skopje, we've seen that the majority in the parliament, the majority of the political parties wanted to join NATO, we welcome that. "But in Serbia, for instance, they clearly stated they don't want to join NATO and we respect that. "So Russia should respect the decisions made by sovereign nations, even if they want to join NATO even though they don't want that." Stoltenberg also spoke about Washington and Moscow pulling out of the Intermediate-Range Nuclear Forces (INF) Treaty. The pact, which the US accuses Russia of violating, banned both countries from using short- and medium-range missiles. 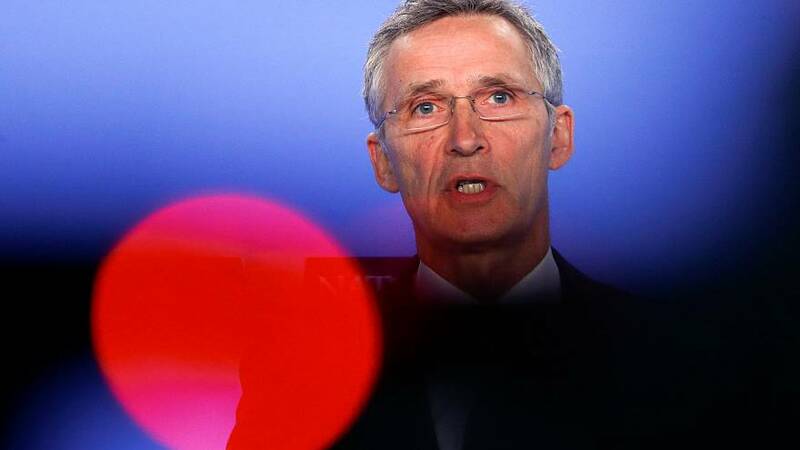 "We don't want a new arms race and what we will do is to try to convince Russia to come back into compliance to the treaty," Stoltenberg said. "There will be a six-month period until the withdrawal process is finalised and during that period Russia can come back. So it still can come back. "Our responses will be measured, they will be defensive and we will look into not only the military consequences but also how we can take new initiatives on arms control. "But we have to make sure that NATO in a world without the INF Treaty and more Russian missiles are able to provide effective deterrence and defence." The treaty was signed 1987 by then-US president Ronald Reagan and Soviet leader Mikhail Gorbachev. It bans the production, testing and deployment of land-based cruise and ballistic missiles with a range of 500 to 5,500km. Moscow's decision to pull out came after Washington's ultimatum that it would withdraw from the pact if Russia did not end its alleged violations.